HOUSTON, JUNE 26, 2017 – Sentai Filmworks is proud to announce the addition of the fantasy-adventure MADE IN ABYSS to its Summer 2017 season. The series will soon be available to stream in the U.S. on Anime Strike, the curated on-demand anime subscription from Amazon Channels. Animation Production will be handled by Kinema Citrus (Black Bullet, Barakamon, Is the Order a Rabbit??). Masayuki Kojima (Monster, Black Bullet) will direct the series, with series composition by Hideyuki Kurata (The Fruit of Grisaia, Drifters, The World God Only Knows). 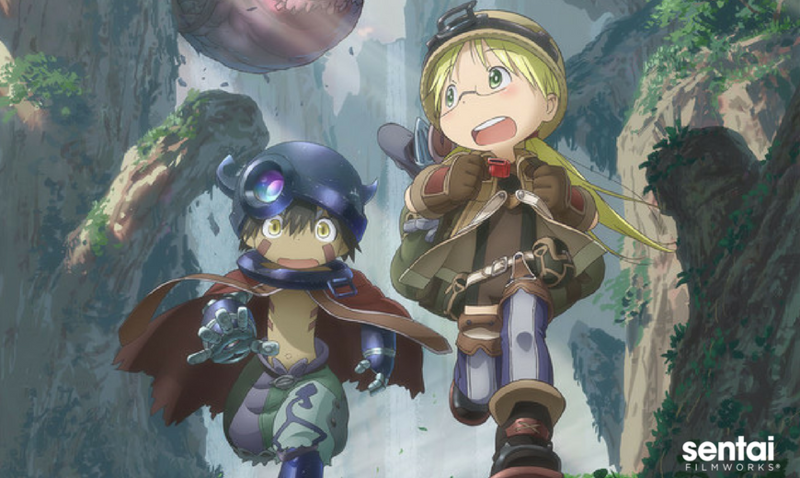 MADE IN ABYSS will soon be available to stream on Anime Strike in the U.S., and available in certain countries through select digital outlets for the Summer 2017 season, with a home video release to follow.